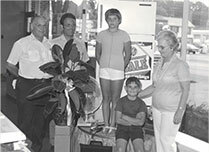 Whether you are looking for a gas furnace service or repair, quality installation of a Bryant furnace, heat pump air conditioner, better air quality in your Sidney home or a/c tune up, as an Official Bryant Dealer you can be guaranteed we will do it right, whatever it takes. 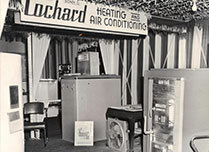 Lochard Inc, is a third generation family owned and operated heating, plumbing and air conditioning contractor in the Sidney Ohio area for over 72 years. 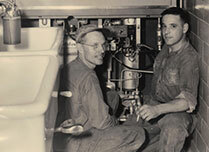 To have a job done right the first time, you call in the experts. 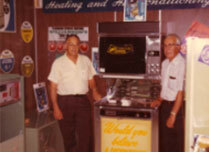 At Lochard we're passionate about performing quality HVAC repairs and installations. With 24/7/365 Emergency Plumbing Service available from Lochard, you can be certain that any plumbing issue your home has will be taken care of quickly and professionally. At Lochard, Inc we only use the highest quality equipment and parts in our heating, air conditioning and plumbing installations and repairs. 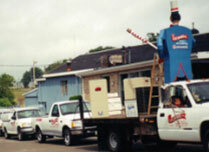 Lochard Inc. has serviced Shelby and Miami Counties of Ohio and the Greater Sidney Ohio Area since 1945. Copyright ©2019 Lochard Inc All rights reserved. | The brand and logo are property of Bryant.